Cleansers might be useful to clean your skin from oil, dirt, and bacteria, but it shouldn't be used too often. Remember that if you have acne-prone skin, it means that your skin is very sensitive to outside stimuli. Using cleansers too often will not help you to erase your pimples quickly, but it will only damage your skin due to the harsh chemicals that are used in those products. Besides, you can easily trigger acne breakouts simply because of your skin's sensitivity. Scrubs are useful to exfoliate the dead skin cells that will keep your skin smooth and clean. But, remember that when you apply scrubs, you are destroying the outer part of your skin (a part where the dead skin cells reside), and you need to be careful in doing this. If you apply the scrubs too hard, you can easily trigger more irritation in your skin, and it won't be good for you. Leaving your makeup on during your night sleep will only clog your pores. Your skin will absorb the makeup residue, which will further trigger free radicals within your body. What will happen after this? What will happen after this is that you will get irritation and even develop certain allergic reaction in your body. So, be careful since many makeups contain materials that might damage your skin in the long run. You must always clean your face with clean cloth. When you use dirty cloth to clean your face, you are defeating the purpose of cleansing your face. Dirty cloth will give you more bacteria, dirt, and oil in your face and it can easily trigger breakouts in the short amount of time. So, always clean your cloth or towel every day and use only clean cloth for your face. Otherwise, you will only bring suffering to your skin. In today's increasingly stressful life, people are often thinking too much about their problem. Generally people experience difficult life problems and become depressed because of it. So do acne sufferers. 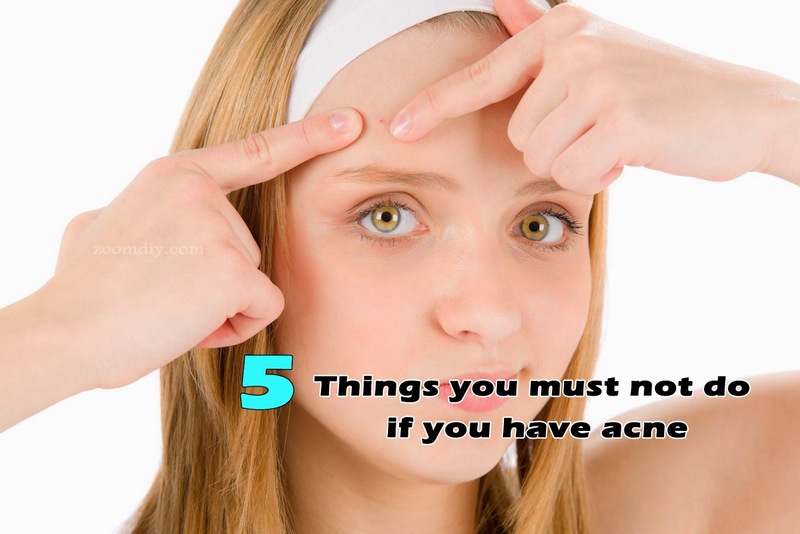 If you suffer from acne, you might tend to think about your condition too much and become depressed because of it. Yet, this is the exact behavior that makes your acne to persist. Research has shown that stress and depression can cause your acne to persist, and it can even trigger more acne breakouts in the future. So, you have to be aware of the danger of it.